PayPal, is one of the most recognized and popular payment gateways currently available. If you’ve created a new PayPal account and have hooked it in to a payment or membership plugin, you have landed on this tutorial because you are facing issues regarding pending funds. If funds are pending generally anyone who has signed up to your membership account will not be granted access. If you are selling digital items, although the funds are pending, your customer will not be issued their download link. Issues with pending funds can not only be a hassle for you, the business owner but also for your customers. Why are my PayPal funds pending or unavailable? How can I make the funds clear instantly in my PayPal account? What is a Pending PayPal Payment? If there is any issue with an order placed on your site that was made using the PayPal payment gateway, the money may be marked as ‘pending’ in your account. Generally the pending phase lasts less than 21 days if the issues are cleared up. When does a Pending PayPal Payment Occur? You are new to PayPal. It takes a number of transactions to demonstrate to PayPal that you are a genuine buyer or seller. Completing all sets to confirm your identity as well as using PayPal regularly builds up a good rapport with PayPal and can move your payments out of the ‘pending’ status. Ensure you email address has been confirmed. You have ceased selling on your site for a long period of time. If this occurs you will need to build back up a positive selling or buying history. Bad customer feedback. If you have too many refunds, charge-backs or disputes it can change the availability of funds within your PayPal account. PayPal recognizes your selling pattern as unusual or suspicious. Selling high risk items such as gift cards can also increase the chance of finding ‘pending’ payments in your account. A valid address is not supplied. If the preference section of your PayPal profile requires an address and your customer did not supply one, the payment may be marked as ‘pending’. You have chose to manually approve payments. The payment was made as an eCheck. A payment may be ‘pending’ if you hold a non-U.S. account and do not have a withdrawal mechanism. You must manually accept or deny this payment from your Account Overview. A ‘pending’ payment may appear if do not have your balance in the currency sent, and you do not have your Payment Receiving Preferences set to automatically convert and accept this payment. You must manually accept or deny this payment. You have set the payment action to ‘Order’ and have not yet captured funds. A payment may appear as ‘pending’ if your account needs to be upgraded (business or premier). It is important to note that there is a monthly limit for transaction before an upgrade is required. 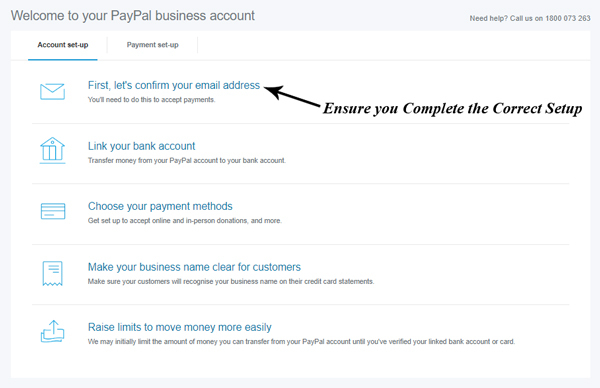 If you are using a WordPress E-commerce plugin that processes payments using PayPal this section may apply to you. It is important to know that if a customer has paid for an item although the payment is ‘pending’ the sale will not be processed immediately. This is especially noticeable when using a membership plugin or selling digital downloads. If a customer signs up as a member, although the PayPal payment is ‘pending’ they will not be given access to the site until the payment has been approved. Similarly, if a customer buys a digital item while their payment is still ‘pending’ in your account, the plugin will not send out the download links. While this may seem annoying, the bottom line is this function is in place to protect your site from scammers. If you notice that a payment is sitting in your PayPal account and it is marked as ‘pending’ you can assume that the customer has not received their digital item or been given access to your site. If you pay for an item or service you expect to receive it within the stated time period. 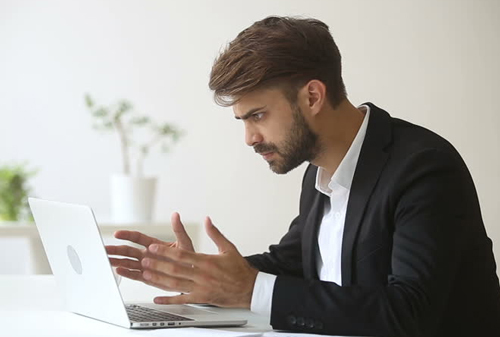 Customers who do not receive their digital item due to a ‘pending’ payment can become concerned and in turn leave poor comments or start a PayPal dispute. The good news is you can manually give these customers their items to prevent bad reviews. In terms of a digital download, if you are using our eStore Plugin (or similar) you can use the admin functions tool to create a new encrypted download link. Then manually send it out to any customers who have a pending payment. This way they receive their download link in a timely manner. If you run a membership site using a plugin like the WP eMember Plugin, you will need to manually approve any member accounts that have a ‘pending’ status. This way your member will have access to your site while their payment is still ‘pending’ in your PayPal account (ensure that the payment is actually legitimate prior to changing their status). More often than not, a ‘pending’ payment is the result of a PayPal account that has not been fully verified. When you set up a new PayPal account ensure you follow all the steps and verify your account correctly. Logging into your PayPal account. You will not be able to accept payments until you have confirmed your email address. ‘Pending’ payments can sometimes occur if you are new to PayPal or your transactions appear suspicious. Developing a rapport with PayPal is a good way to limit ‘pending’ payments. If you have not been able to fix the issues within your PayPal account after reading this documentation, please contact PayPal’s support team. They should be able to look at your account and tell you what needs to be corrected in your account. @Kimberly, I understand that it can be a little frustrating sometime but they hold the money for a few days to prevent fraud. I will close my PayPal account after completing these last transactions through eBay. It’s absolutely ridiculous that they can legally withhold anyone’s funds for more than a couple of days. I’m done with PayPal and selling items via eBay. This is another way PayPal make money out of you. My payments are ALWAYS delayed by them, it must make them millions across the globe holding onto other people’s money. My friend sent me some money on paypal but its still pending, she didnt write her address. What should I do?